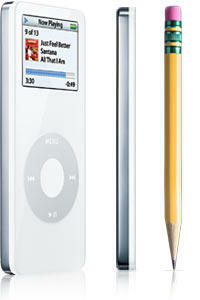 James Kim has reviewed the Apple iPod Nano (4GB, white). It's certainly a technical and design wonder at 3.5 by 1.6 by 0.3 inches thick and 1.5 ounces, he said. The iPod Nano is now available in white or black with 2 GB and 4 GB for about $199 and $ 249 respectively. Kent German has reviewed the Motorola ROKR-E1. 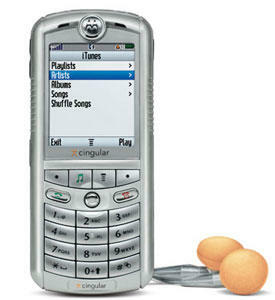 The only cell phone with iTunes built in. You can load up to 100 iTunes songs via a USB cable. 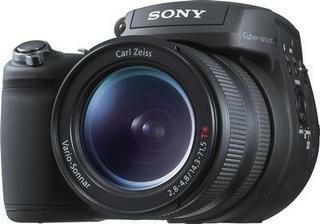 Shawn Barnett has reviewed this Sony digital camera. "It offers an absolutely unique focal length range, with very high optical quality, attractive color, and very appealing tonality in its images, he said." Sascha Segan has reviewed the Nokia 6170 on PCmag.com. The 6170 is a decent, stylish flip phone for Nokia fans, but it is relatively light on features, she says. Sony intends to create a new benchmark in digital photography with the introduction of its high-end Cyber-shot® DSC-R1 camera. The Cyber-shot® R1 camera is the world's first integrated lens digital still camera to combine a professional-grade, 10.3-megapixel image sensor and the flexibility of live preview while shooting. With its ultra-wide Carl Zeiss Vario-Sonnar T* zoom lens (24mm - 120mm) and free-angle, two-inch LCD, the Cyber-shot R1 brings professional level imaging performance to mainstream consumers. "The R1 represents a breakthrough in digital camera technology and construction," said James Neal, director for digital imaging products at Sony Electronics. "You can grab this camera and go, confident that you will be prepared for a wide range of shooting situations. Its many convenience features and exceptional performance can not easily be matched with a typical consumer-level digital SLR." The Cyber-shot R1 sports a two-inch, LCD screen that folds flat and swivels so you can shoot from nearly any position. This flexibility allows you to get the shots that other cameras miss. For example, you can hold the camera low - down to the ground - for eye-level view shots of kids and pets without having to bend yourself into a pretzel or crawling on the ground. 26 years after WALKMAN created a revolutionary music lifestyle, the new Sony WALKMAN will now redefine it. Simply called ‘WALKMAN’, the new digital music player from Sony features spectacular ergonomic design and an exciting range of intelligent features that allow the user to enjoy music in a totally new way. 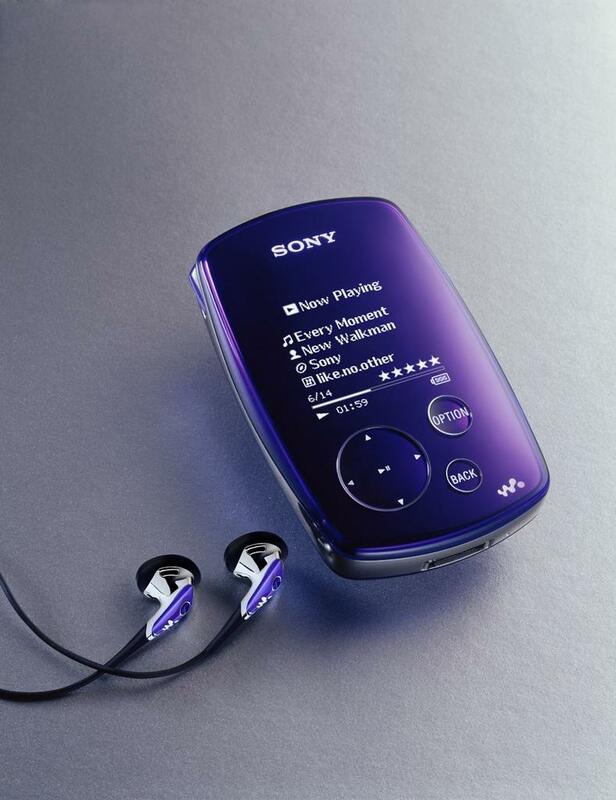 Sony WALKMAN is a true extension of the user’s personal taste and musical preferences. At the press of a button, the ‘Artist Link’ function will search every artist, album and song stored on the device and offer suggestions of artists and bands closely linked to the genre of music being played at the time. 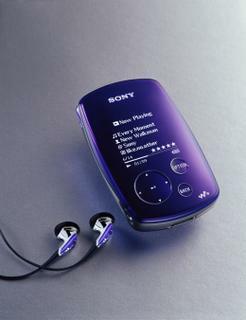 Sony WALKMAN, available in two capacity sizes - 20GB (NW-A3000) and 6GB (NW-A1000), also features two new shuffle functions. By selecting ‘My Favorite Shuffle’, the device automatically selects the most listened to 100 songs and plays them at random. The ‘Time Machine Shuffle’ function randomly selects a year and plays all of the songs from that particular year that are currently held on the device. Featuring an advanced organic EL display (2 inches on the 20GB version and 1.5 inches on the 6GB model), Sony WALKMAN not only incorporates a range of great features, it also offers the ultimate in ease of use through an appealing user interface and fantastic visibility. Take everything you love about iPod and shrink it. Now shrink it again. With 2GB (500 songs) and 4GB (1,000 songs) models starting at $199, the pencil-thin iPod nano packs the entire iPod experience into an impossibly small design. So small, it will take your music places you never dreamed of. Call it astonishing. Unbelievable. Impossible, even. Then pick it up and hold it in your hand. Take in the brilliant color display. Run your thumb around the Click Wheel. Put on the earbuds and turn up your music. That’s when everything becomes clear: It’s an iPod. It holds up to three days’ worth of music. It plays for up to 14 hours between battery charges. (1) It displays the color album art for the song you’re listening to right now. It carries your photos, podcasts and audiobooks. It syncs seamlessly with iTunes. It connects to a host of iPod accessories. Simply put, iPod nano is 100-percent iPod. And then some. iPod nano’s Click Wheel puts music under your thumb. Click to fast-forward, rewind, play, pause or access menus. Use the touch-sensitive surface to control volume or browse music. You can do it all without looking. But with an iPod this beautiful, who’d want to? Add accessories to your iPod nano via the Dock connector and headphone jack and your music will always keep up with you — at home, on the go, even in your car. Of course, in either signature white or sleek black, iPod nano itself makes the ultimate accessory. Up to 4GB(2) of skip-free storage on a featherweight iPod means you can wear almost three days’ worth of music around your neck. Or jog with 1,000 songs on your arm. Now that you can take your music everywhere, there’s no limit to where it will take you. The first iTunes compatible phone, the Motorola ROKR E1, is just been introduced at the Apple event in San Fransisco. The phone is compared with an iPod Shuffle on your phone, but it can only store 100 songs. 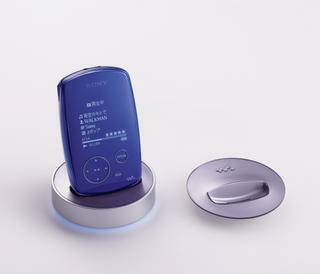 The songs can be transferred through a USB cable and when your phone rings it will automatically stop playing music. The phone contains also a digital camera that can record movies as well as two stereo speakers and a headset. Cingular will be the exclusive wireless carrier in North America for this phone. Philips has demonstrated a new photonic textile at the IFA 2005 show in Berlin that can be used to display information. The company claims flexible LED-arrays are processed in the material, without affecting the softness or flexibility of the textile. In spite of this stuff this textile stays useful. In cooperation with the textile institute TITV Greiz, Philips Research has also developed a leading substratum that completely consist of cloth as well as flexible and drapable substrates that consist of plastics and films. These substrates use passive matrices of compact RGB LED packages. The material stays soft and supple because the RGB-pixels are placed far from each other and this technology can be embedded in everyday objects as cushions, backpacks and even floor mats. The material that keeps the light sources covered spreads the light so the pixels look bigger than they actually are. Because of that a picture can be created without covering the full textile with light sources. By incorporating orientation and pressure sensors by incorporating orientation and pressure sensors the photonic textiles can even be made interactive for usage in combination with other devices such as Bluetooth cell phones. Philips says the textile can maybe be used for clothes, communication or furniture in future. Creative Technology Ltd. (NASDAQ: CREAF), a worldwide leader in digital entertainment products, introduces new additions to its most versatile and lightweight portable speakers family. The four superior TravelSound and TravelDock portable speaker systems come with NeoTitanium micro drivers for stunning audio clarity and accuracy. Specially designed to form a complete music system with the award-winning Creative Zen Micro MP3 player, the Creative TravelDock Zen Micro is portable, compact, light and versatile. The sleek cover acts as a stand and protects the speakers when travelling. The multifunctional speaker enables users to charge their Zen Micro player while listening to music. It also allows user to upload and download music and data via an integrated USB connection, and allows additional audio devices to be connected to it via the Auxiliary Input. With headphone and subwoofer connectors and a FM antenna, it adds incredible versatility to the speaker. 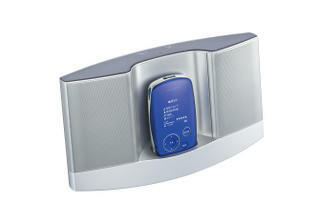 Equipped with a digital amplifier, it delivers up to 25 hours music playback on four AA batteries. The powerful 8 Watts total RMS speaker even comes with an infra-red remote control that allows users to control the power and volume of the speaker, as well as Zen Micro player functions such as Play/Pause, Next/Previous track. Users can also use it to switch between FM radio and MP3 modes. Designed for optimal versatility, the Creative TravelDock 900 has a built-in docking stereo audio plug for instant connection to any MP3 player, including Apple® iPod® Shuffle, so that users can share their MP3 music with friends. Its distinctive glossy white enclosure in a clamshell design incorporates two premium NeoTitanium micro drivers that deliver a stunning 4 Watts total RMS music playback. With the built-in digital amplifier, it easily gives up to 32 hours of music entertainment on four AAA batteries. When hooked up to a power adapter, the Creative TravelDock 900 even has the ability to charge the Apple iPod Shuffle. Furnished with an intuitive set of playback controls, it has wonderful features such as Wide Stereo Effect and Auto-power off when closed. The Creative TravelDock 900 is truly an elegant, transportable music system for your MP3 player, such as Creative's MuVo and Zen Nano series. The Creative TravelSound 400 portable speaker system is specially designed to give mobile music lovers remarkable audio quality from their MP3 players. The ingenious 180º swivel design can be rotated out of the way for speaker protection and automatic power-off. Besides delivering a strong 4 Watts total RMS power, the Wide Stereo Effect and premium NeoTitanium micro drivers generate a wide soundstage, and rich, clear sound. With an advanced digital amplifier, it gives an amazing up to 35 hours music entertainment, powered by four AAA batteries. With its compact, lightweight and minimalist design, the Creative TravelSound 250 makes it convenient and easy to pack away for travel. Powered by four AAA batteries to give 25 hours music playback, its innovative dual-angle swivel enclosure allows you to adjust the speakers for optimum audio projection. The premium NeoTitanium micro drivers rated at 3 Watts total RMS deliver good details and midrange, and the Wide Stereo Effect feature creates a wider soundstage. The four products are available for September shipment in Asia through all Creative's retail outlets. For more information about Creative's portable speakers family, visit www.creative.com/speakers/. In association with Canon, Toshiba has demonstrated on the IFA-exhibition a prototype of a SED display. SED stand for "Surface-Conduction Electron-Emitter Display" which means the display combines the technique of a CRT with the flat format of LCD and Plasma displays. The prototype of the 36-inch SED display was demonstrated behind closed doors, but golem.de says the picture quality was impressive. Toshiba and Canon expect to start in 2007 with the mass production of the SED displays. 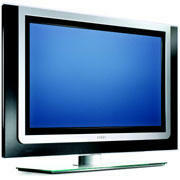 In 2010 would SED dominate the market for displays bigger than 40-inch. Having already revolutionized the television viewing experience with the original Pixel Plus and Ambilight picture enhancement technologies, Philips has made on-screen images even more lifelike and realistic with second-generation versions, being introduced on the latest Philips FlatTVs now going on sale. Pixel Plus 2 HD pushes video processing technology to its limits, providing ultimate sharpness, true natural detail, brilliant colors and incredible depth impression. It almost doubles the processing power on improving HD signals, altering each pixel of the incoming picture to better match the surrounding pixels. The result has to be seen to be believed. Ambilight technology already improves perceived picture quality and delivers a more immersive viewing experience. The technology analyzes – in real time – the incoming television signals and produces background lighting to match images displayed on the screen. Ambilight 2 is a further evolution, adapting independently to colors on both the left and right of the screen (stereo). There is also improved light output, greater color saturation and four active viewing modes (Sport, Relaxed, Action, Personal). In addition, backlighting the television properly, with no glare, relaxes the eye and allows it to better perceive all detail and color present. Philips’ Pixel Plus 2 HD and Ambilight 2 technologies are being in three new Cineos-badged LCD FlatTVs this year - the 42-inch (106cm) 42PF9830, 37-inch (94cm) 37PF9830 and 32-inch (81cm) 32PF9830. All three sets are HD ready*, with the 37- and 42-inch incorporating a 1920 x 1080p HD panel for the supreme high definition TV experience. The Philips Cineos marque identifies a product line that promises to help consumers turn up their experience with the latest technology to make content so immersive and satisfying to watch and hear that it’s almost like ‘being there’. Cineos provides consumers with the latest innovation in technology, coupled with an unparallel audio-visual experience, which will allow consumers to escape into cinematic luxury. Philips’ new Cineos FlatTVs offer consumers an attractive television experience that is also easy to live with in the home. The sets are finished in a high-quality glass and metal casing, mounted on a steel-effect plinth, which includes a motorized swivel action. Using the remote control, the TV can be rotated through 30 degrees, left or right, enabling viewers to choose the perfect viewing angle. At the push of a button, a preferred position for the set can be stored in the TV’s memory, enabling the viewer to ‘toggle’ between that and the default setting. For further convenience and enjoyment of the set and its appearance, an extensive cable management system keeps cabling out of sight behind the rotating stand. Philips Cineos FlatTVs are as easy to install as they are to operate. To make the installation process even more simple, Philips has designed an intuitive and interactive on-screen tool which allows viewers to set up the TV according to their personal taste. The tool consists of five split-screen stages; in each split screen the user can select their preferred setting for brightness, contrast, colour, skin tone and sharpness. This also adds to the comfort benefit delivered by Ambilight, as it ensures that viewers can set their FlatTV up to suit their eyesight. The three new Philips Cineos FlatTVs with Pixel Plus 2 HD and Ambilight 2 go on sale in Europe from the summer onwards. Nikon Corporation is pleased to announce the introduction of the COOLPIX S4, one of the new “S series” of highly portable COOLPIX cameras with the “S” standing for “Style” and so much more. A stylish camera designed for active people, the COOLPIX S4 packs a high megapixel count, a large LCD monitor and zoom capability into a swiveling body that allows the lens and LCD sections to move independently. The COOLPIX S4 features a 10x Zoom-Nikkor lens that takes compositional versatility beyond other cameras in its class. Not only does it deliver outstanding 38-380mm performance (35mm equivalent) that gives the user the freedom to capture everything from extreme close-ups to architecture and landscapes, but it also offers the advantage of being swivel mounted to enable picture taking from much more imaginative angles. This enables easy shooting from the waist or overhead and allows better composition for self-portraits. The COOLPIX S4 delivers the imaging capability of 6.0 effective megapixels too, producing quality shots that remain impressive even when considerably enlarged. Despite offering such imaging performance, the COOLPIX S4 is designed to fit comfortably in the hand, with the swiveling section neatly enclosing and protecting the powerful zoom lens and a zoom lever located on the top of the body for easy operation. The COOLPIX S4 also features a newly designed grip that contributes to a more confident shooting feel and features a large, bright 2.5-inch LCD that makes it easy to compose pictures and simple to play back the results on the spot. The COOLPIX S4 additionally offers the portable benefits of being slim (with a depth of 37mm) and having a light weight of 205g. 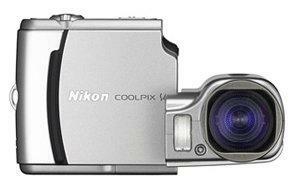 With the COOLPIX S4, it is also possible to improve recorded images in-camera with a range of unique Nikon functions. Available in Playback Mode, the ingenious D-Lighting function enables the user to rescue shots taken with insufficient flash or excessive backlight. The user simply has to select the image in question and D-Lighting automatically creates a copy, but with enhanced detail and lighting wherever necessary. In Portrait Mode, the COOLPIX S4 offers the handy Face-priority AF function, which has the clever ability to detect the presence of a human face in the shot. Once detected, Face-priority achieves sharp focus on the face automatically, producing pleasing portraits no matter where the subject was positioned in the shot. There’s also the benefit of In-Camera Red-Eye Fix, which has the ability to detect the unfortunate red-eye effect that can occur when taking portraits with flash. Automatically correcting for the effect for a better quality portrait, In-Camera Red-Eye Fix lets you use the flash with greater confidence. The COOLPIX S4 is equipped with a useful Blur Warning function too. Alerting the user whenever a shot may have been compromised by camera shake, it provides a chance to take another image before leaving the scene. Taking fun and convenience further, the COOLPIX S4 can be powered with a pair of AA-size batteries, which are widely available around the world in alkaline, lithium or other forms, making the camera well suited to travel. There’s also a selection of four Movie Modes offering up to 15fps performance. Three of these modes also record sound, while the fourth is a Time-lapse movie function that allows the capture of action taking place over extended periods. A choice of 16 Scene Modes simplify shooting in a wide range of common situations — allowing the user to select the icon that most closely matches the desired shot, then let the COOLPIX S4 select the optimal settings automatically for pleasing results. Four of these Scene Modes come with the added advantage of Scene Assist, which helps the user to achieve better composition. There’s also the Voice Recording Mode, which is highly useful in meetings and lectures as well as a range of other circumstances and can record up to 5 hours of sound when used with a 256MB SD card. Offering PictBridge compatibility, the COOLPIX S4 makes printing easy, too — allowing the camera to be directly connected to compatible printers to produce photographs without the need for a computer. The camera also offers USB connectivity that makes it swift and easy to transfer data to computers and other peripherals. Furthermore, the COOLPIX S4 even comes complete with Nikon’s versatile PictureProject software — making it simple to edit, organize and share images with a wide range of easy-to-use functions.